Time to announce the WINNER of the Beautiful Redemption Countdown Giveaway!!!! Entries for the giveaway were accepted between the 10 days leading up to today... RELEASE DAY!!! 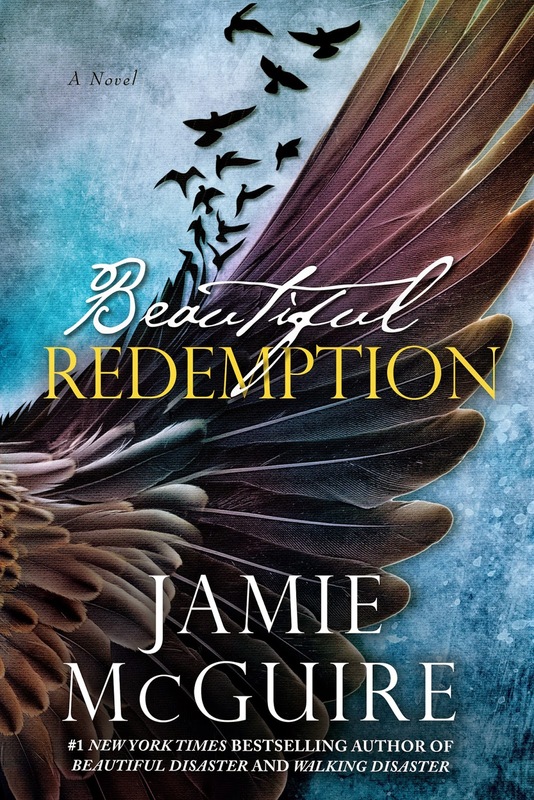 To enter all you had to do was pre-order Beautiful Redemption by Jamie McGuire and email or Facebook message me proof of your pre-order. All entries were assigned a number and one lucky winner was chosen. Are you ready to know who won?!?! Amber you have 48 hours to claim your prize via email to lisa@twilighterdream.com or message to Twilighters Dream on Facebook. If the prize is not claim by 8pm on January 29 a new winner will be chosen. 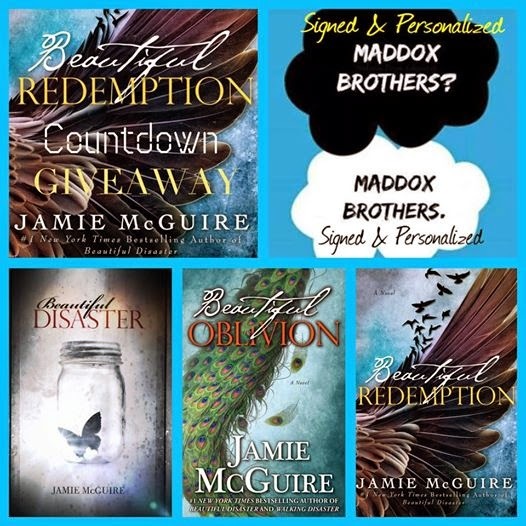 It's important to have a claimed prize by January 31 so I can have Jamie personalize and sign the books during A Beautiful Wedding Book Event in Las Vegas. Congratulations to Amber and thank you to everyone who pre-ordered and entered!!! 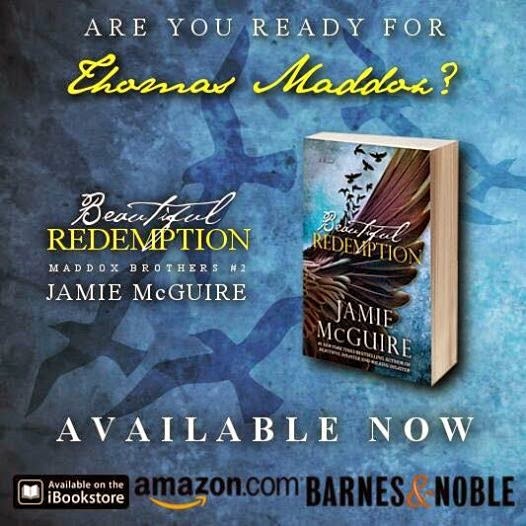 Beautiful Redemption is NOW AVAILABLE on all platforms. *SIGNED* paperback from Jamie's Shop! “Me, too. I’m … Thomas, by the way,” he said softly. He rolled over and relaxed beside me, his head propped by his hand. Instead of getting dressed, he looked as if he were ready for conversation. “I live in Midtown,” I said, wondering if I would see my neighbor again. ON FACEBOOK FOR EVEN MORE EXCITING NEWS!!! AND YOU DON'T WANT TO MISS IT!!! 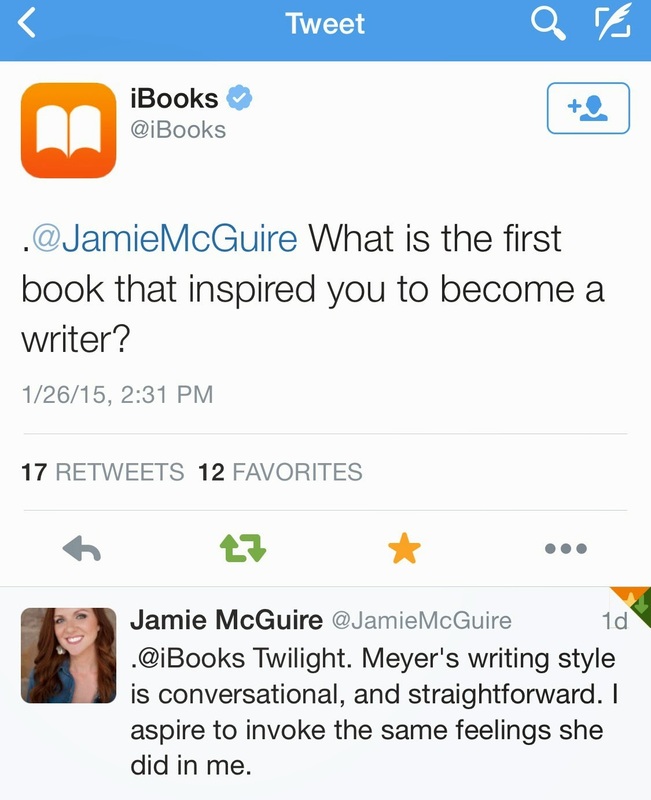 Fun Fact: Did you know that Jamie is a TWILIGHTER and Stephenie Meyer inspired her to write!!! !